FINANCIAL DISTRICT, Manhattan (WABC) -- The bronze statue of a defiant little girl staring down the iconic Wall Street charging bull got a little protection from the elements during the snowstorm Tuesday. 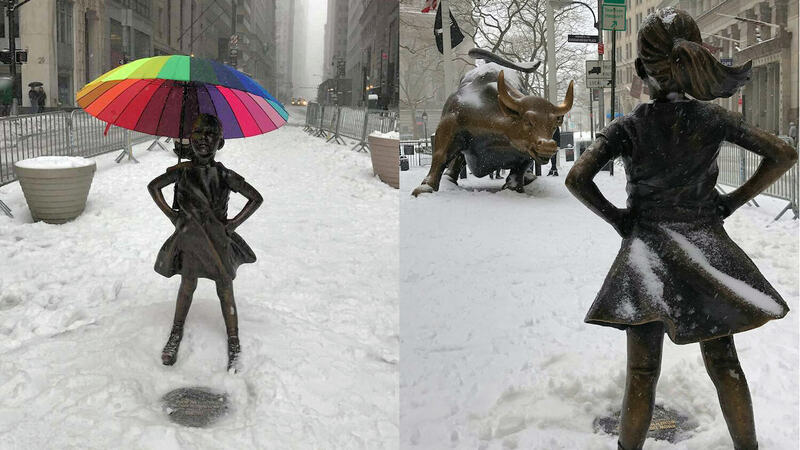 Someone briefly put an umbrella on the "Fearless Girl" statue, which was installed by State Street Global Advisors for a show of solidarity with demonstrators on International Women's Day. The umbrella has since been removed.